In just a decade and half Jack Ma, a man who rose from humble beginnings and started his career as an English teacher, founded and built Alibaba into the second largest Internet company in the world. The company’s $25 billion IPO in 2014 was the world’s largest, valuing the company more than Facebook or Coca Cola. Alibaba today runs the e-commerce services that hundreds of millions of Chinese consumers depend on every day, providing employment and income for tens of millions more. A Rockefeller of his age, Jack has become an icon for the country’s booming private sector, and as the face of the new, consumerist China is courted by heads of state and CEOs from around the world. Granted unprecedented access to a wealth of new material including exclusive interviews, Clark draws on his own first-hand experience of key figures integral to Alibaba’s rise to create an authoritative, compelling narrative account of how Alibaba and its charismatic creator have transformed the way that Chinese exercise their new found economic freedom, inspiring entrepreneurs around the world and infuriating others, turning the tables on the Silicon Valley giants who have tried to stand in his way. 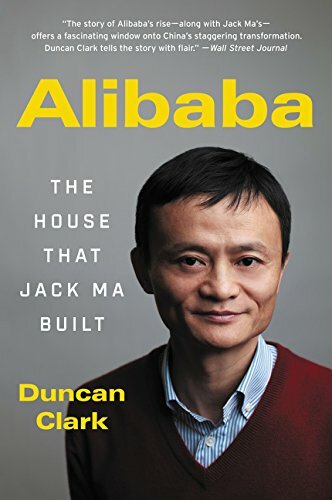 Duncan explores vital questions about the company’s past, present, and future: How, from such unremarkable origins, did Jack Ma build Alibaba? What explains his relentless drive and his ability to outsmart his competitors? With over 80% of China’s e-commerce market, how long can the company hope to maintain its dominance? As the company sets its sights on the country’s financial and media markets, are there limits to Alibaba’s ambitions, or will the Chinese government act to curtail them? And as it set up shop from LA and San Francisco to Seattle, how will Alibaba grow its presence and investments in the US and other international markets? Clark tells Alibaba’s tale within the wider story of China’s economic explosion—the rise of the private sector and the expansion of Internet usage—that haver powered the country’s rise to become the world’s second largest economy and largest Internet population, twice the size of the United States. He also explores the political and social context for these momentous changes. An expert insider with unrivaled connections, Clark has a deep understanding of Chinese business mindset. He illuminates an unlikely corporate titan as never before, and examines the key role his company has played in transforming China while increasing its power and presence worldwide.